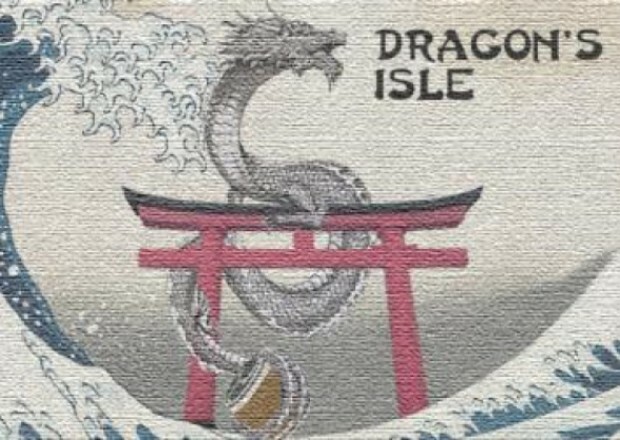 Dragon’s Isle is inspired by Hokusai’s famous “Wave” painting and Japanese motifs. In this 3-D Multiplayer “King-of-the-Hill” game, up to 8 Dragons battle for control of the Isle by wave-riding. King Dragon must defend his position against rival Dragons by generating waves with a magical Taiko drum. Do you have the wave-riding skills to assume King status and defend your throne? Dragon's Isle was made for the 2017 Global Game Jam. I teamed up with seven other people to make a game in 48 hours based on the theme of "Waves". Dragon’s Isle is inspired by Hokusai’s famous “Wave” painting and Japanese motifs. In this 3-D Multiplayer “King-of-the-Hill” game, up to 8 Dragons battle for control of the Isle by wave-riding. King Dragon must defend his position against rival Dragons by generating waves with a magical Taiko drum. Do you have the wave-riding skills to assume King status and defend your throne? Dragon's Isle was made for the 2017 Global Game Jam. I teamed up with seven other people to make a game in 48 hours based on the theme of "Waves".